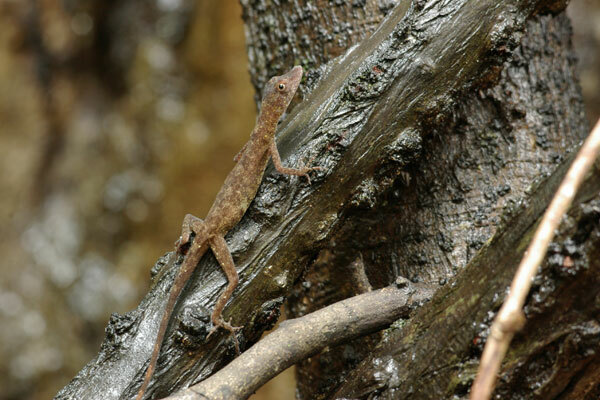 These anoles were extremely graceful and wary, leaping from twig to branch in effortless silence. We spent ten or fifteen minutes trying to maneuver the first one we saw into sitting still in reach of my camera. Eventually I got the first photo above. Later in the day I snuck up on a couple others without spooking them, including the one in the second photo above. Here is an account of the four days we spent at Uakari Floating Lodge in the Mamirauá Sustainable Development Reserve. 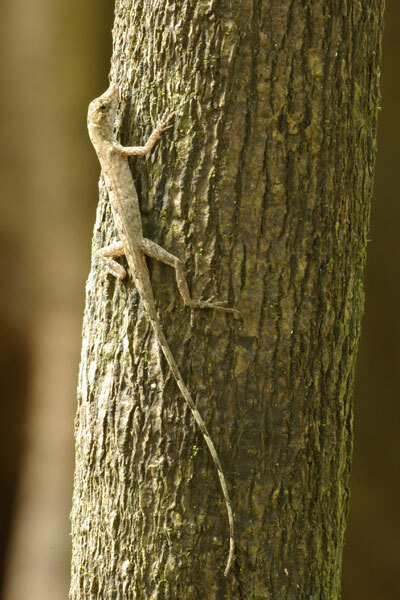 The anoles in this area can be tricky to tell apart, but I believe the mottled pattern on this one's back identifies it as Anolis ortonii rather than Anolis fuscoauratus or Anolis trachyderma. 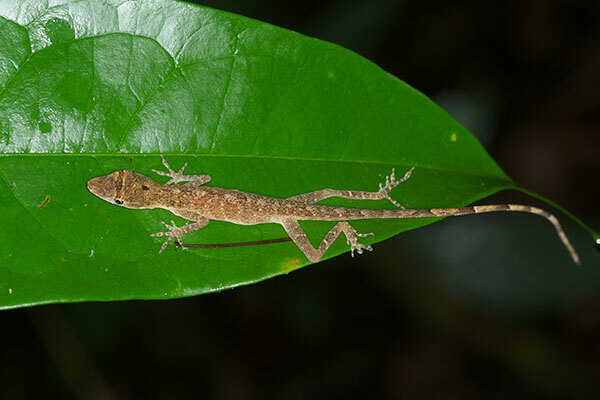 There were plenty of sleeping Anolis ortonii in 2014 as well. I still haven't seen one of these during the day in Peru. One last sleeping Peruvian anole, at least for 2014. This one's a youngster, about half-grown. This is an obviously terrible picture of an anole occupying a palm tree just outside of the ticket counter at the zoo in Iquitos. 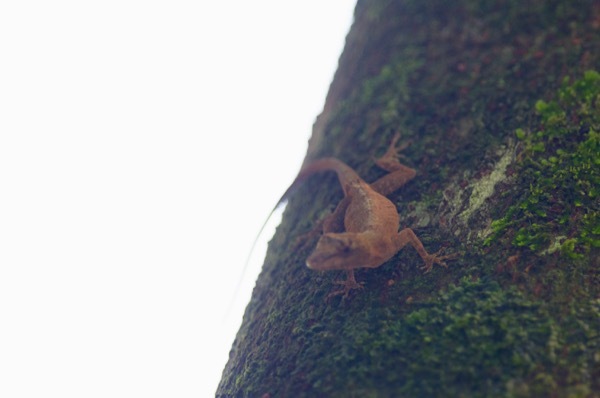 The lighting was terrible, and the poor anole was spooked by the half-dozen crazy Americans trying to take its photo. 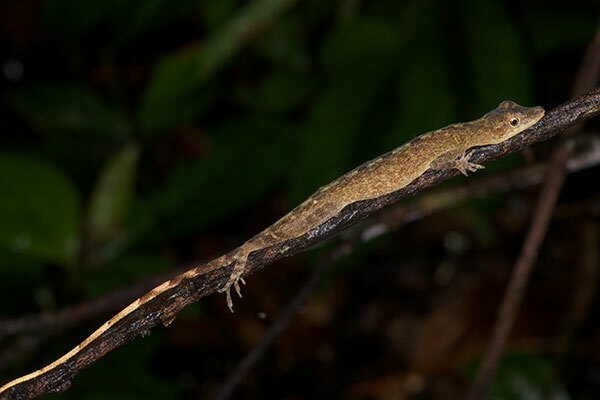 This was the only shot I got, which is a shame because of all the anoles I've seen in Peru, this is the one that I'm most confident is in fact Anolis ortonii. 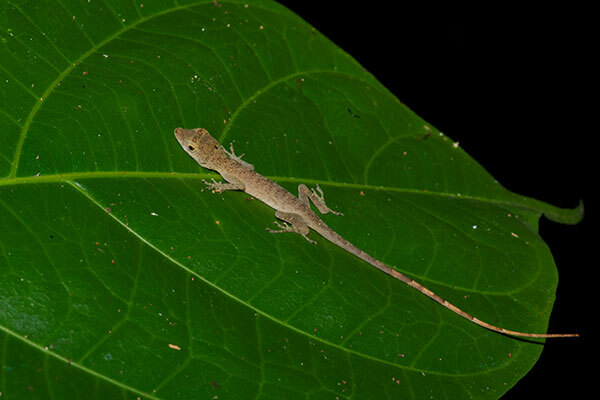 I'm a little worried that any or all of the others might really be Anolis fuscoauratus.